Kayak Fishing Hand Paddles Are Out There! Looks like Backwater Paddle Company is making headway into the paddle sports market. Our Predator and Piranha Kayak Fishing Hand Paddles are capturing the interest of kayak anglers and sportsmen nationwide. So far we have been fortunate enough to meet and network with three awesome individuals who are making an impact on the future of Backwater Paddle Company. Backwater Paddles is c0-sponsoring two large kayak fishing tournaments in the southeast. We have to thank our tournament directors for allowing us this privilege to provide our kayak fishing hand paddles to the kayak anglers and sportsmen participating. We would like to thank Tony Narcisse of the Georgia Kayak Fishing Trail at www.kayakfishingtrail.com. Tony provided Backwater Paddle Company the opportunity to present our Predator and Piranha Kayak Fishing Hand Paddles to the tournament participants and winners. We are providing kayak fishing hand paddles at all four legs of the Georgia tournament trail. We wish the best of luck to Tony and all the kayak angling participants. We hope to meet some of the participants and other sponsors at one of the four Georgia legs. We will get with Tony when we have solidified our upcoming road schedule. Check with Tony or myself for more information. Drew Gregory of the RiverBassinTrail.com deserves a special thanks from Backwater Paddle Company. Drew has been extremely patient and helpful by mentoring Backwater Paddles in the big leagues of paddle sports marketing. Drew has provided personal guidance and direction to achieve the maximum results from our sponsorship campaign. He has taken a personal interest in the future of the Predator and Piranha Kayak Fishing Hand Paddles. We look forward to working with Drew and Deep Creek Ventures as well as Bass Pro Shops in our future marketing campaigns. Backwater Paddle Company plans to be at the Birmingham, Alabama leg of this kayak fishing tournament. Look for Kurt and myself at the Bass Pro Shop in Birmingham and at various launch sites throughout the area. Another stalwart partner in Backwater Paddles fledgling marketing campaign has been Brian Van Drie from Kayak Online at www.kayakonline.com/paddles. Brian has been coaching us, very patiently I might add, in our paddle sports online presence. Kayak Online has been there from day 1 and continues to support and provide growth opportunities for our paddle sports company. We look forward to a long and prosperous future with Kayak Online. It is a pleasure and honor to mention the above three individuals with regards to the future of Backwater Paddle Company. 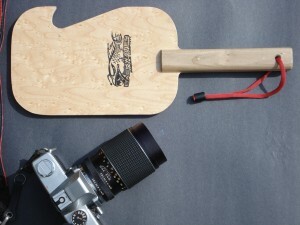 This entry was posted in Backwater Paddle Products, Marketing My Company and tagged kayak fishing, kayak fishing hand paddle, kayak fishing hand paddles, kayak paddles, paddle sports on April 30, 2010 by Paddleman. I just wanted to pass on my appreciation for all of your support. Our kayak fishing hand paddles owe their existence, to you, the anglers, sportsmen and paddlers. This entry was posted in Uncategorized and tagged kayak fishing, kayak fishing hand paddle, kayak paddles on April 17, 2010 by Paddleman. Take pictures and paddle together! Since the inception of the kayak fishing hand paddle phenomenon, other paddle sportsmen have used these innovative paddles to actively pursuit their kayak hobbies and adventures. Providing stealth and a simple one handed paddle operation, any paddle sportsmen will soon find these paddles beneficial to their next paddling adventure. We all know the performance benefits the Predator and Piranha Kayak Fishing Hand Paddles bring to the kayak angling community. Yes, you can finally paddle and fish together! No more trying to hold onto your fishing rod and perform a one handed flail with a seven foot kayak paddle, just to move your boat a few yards. One-handed stealth maneuvering is obviously the biggest benefit provided by these kayak fishing hand paddles. There are not just for the kayak fishing community only, either. Stealthy paddling tactics can be applied to other paddle sporting activities. But what else can the local kayaking sportsman do with kayak fishing hand paddles? Basically whatever sport or hobby requiring kayaks as the chosen vehicle of transportation can experience the benefits of these innovative paddles. Have you ever tried to photograph wildlife from a kayak platform? Kayaks provide the unique opportunity to get in and up close to wildlife in many aquatic ecosystems. Requiring only 3 – 4 inches of water to navigate through, kayaks can stealthily put you closer to your photographic opportunities than you can imagine. Having birds only yards away, comfortable in their environment, makes for awesome pictures. Shooting photos from a boat is always a challenge. Water being a fluid environment, creates its own dynamic problems. Throw in a breeze, wind or current and now you have another factor involved in trying to capture the perfect shot. Is wildlife on the move? Just another variable to contend with. Now try holding your camera on target, while paddling, to make those current and wind corrections. You will find that you have to put down your camera to paddle your boat. You cannot possibly hold your camera steady and paddle your boat a few yards to set up for the perfect shot. It takes two hands to paddle a kayak with a conventional kayak paddle. That means you are not ready for the shot when the time arrives. Flailing that seven foot kayak paddle while trying to capture the moment will generally cost you the shot. What wildlife is going to hang around as you try to approach with kayak paddles flying? Are you being very stealthy? Wildlife photography requires an element of knowledge, patience and stealth. You have to be able to identify and understand how wildlife acts in their natural surroundings. Understanding the basic characteristics of your target allows you the patience to study their habitat and identify photo opportunities. Getting the best shot always requires stealth. Generally the closer you can get to the photo opportunity, the better the picture. You do not want to have spent all that time studying and patiently waiting, only to blow the opportunity with a few careless paddle strokes. The Predator and Piranha Kayak Fishing Hand Paddles provide you the benefit of paddling your kayak one handed and stealthily to get up and close and personal for the perfect wildlife photograph. Stow that unwieldy seven foot kayak paddle. Place a six ounce kayak fishing hand paddle between your legs. When it is time to follow your wildlife or get in closer, break out your kayak fishing hand paddles. With a few crafty strokes, you can stealthily maneuver your kayak within photographic range without spooking the wildlife. 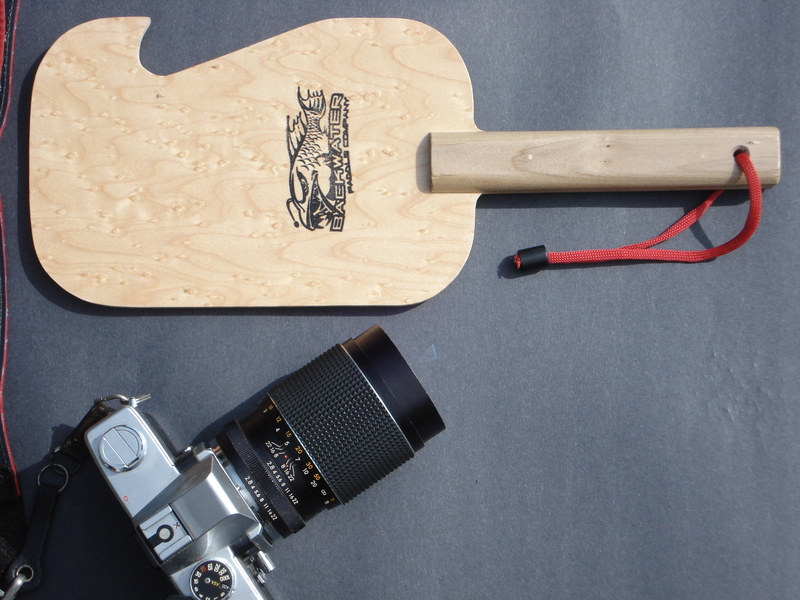 As you can see, the Predator and Piranha Kayak Fishing Hand Paddles can also be used to photograph and paddle! Who would of thought? This entry was posted in Backwater Paddle Products and tagged kayak fishing, kayak fishing hand paddles, wildlife photography on April 9, 2010 by Paddleman.